Gorgeous girls special occasion look for Spring Summer by French girl's brand Charabia. She'll look striking wearing this metallic red dresswith a quilted look and super soft feather sleeves. Designed in Paris, this beautiful dress is also comfortable to wear in a straight style with a silky lining. Complete the look with a pair of GUESS Girls Silver Glitter Ballerina Pump Shoes, made in glittery silver, with red heart detailing. 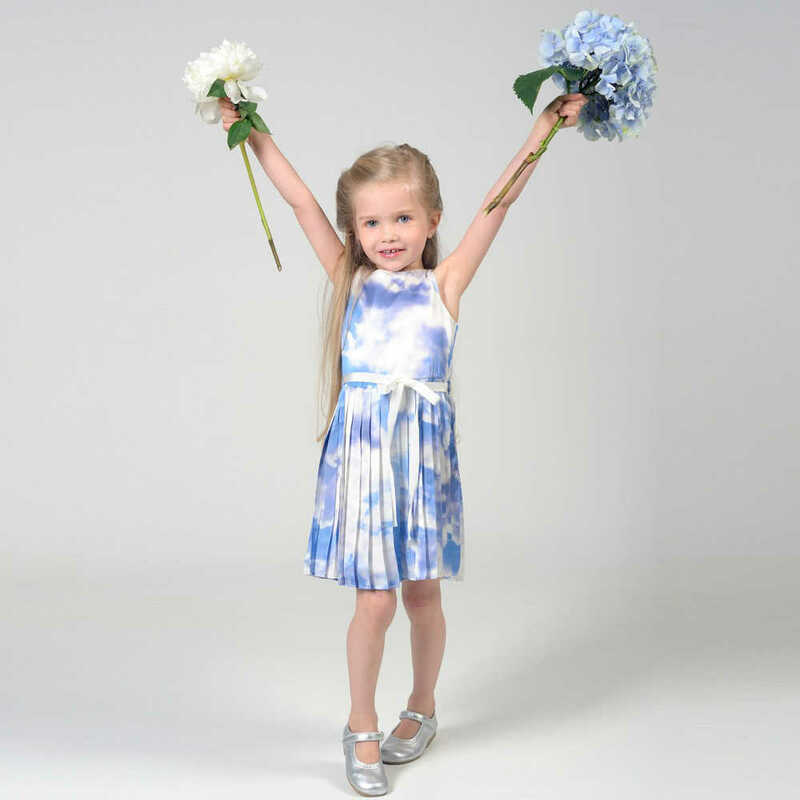 The perfect outfit for your little girl who wants to stand out in the crowd at any special event.